"For ye have need of patience, that, after ye have done the will of God, ye might receive the promise." Many of you have followed along, as God has led my family and me to take what may seem like drastic measures to live a simpler, more Biblical-aligned life. Though some of the reasons for our minimizing has been apparent to us, I still felt there may be another purpose, and I longed to know the deeper meaning behind it all. During my time with Jesus early one morning, the answer to my question became clear. but I was to write a book, so our story and all that He has taught us could be shared with others. and I was trying to avoid spoilers! The book is called, "Biblical Minimalism: One Family's Journey from a Life of Abundance to a More Abundant Life ©"
It is a Scripture-saturated documentation of my family's journey towards a more minimal, eternity-focused life and how God led us to sell our 4 bedroom, 3 bath home and release about 90% of our physical possessions to pay off debt and free ourselves for the sake of a higher call. 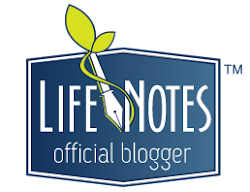 I have alluded to our journey, at various times, here on the blog, and the book contains much of that information, plus a WHOLE lot more, including many profound lessons God has taught us that I haven't yet shared. Laying some of those things bare presented a huge struggle for me, and God required a lot of stretching in the writing of this book. He revealed so much to me about pride and how that even though I care deeply about and strongly defend our privacy, sometimes the guarding of confidentiality holds the potential of robbing others of truths He wants to reveal through the disclosing of our stories and the sharing of our journeys. If the telling of God's redemption of our mistakes and brokenness can give another person hope, then I say amen to God's desire to not allow our story to go untold. 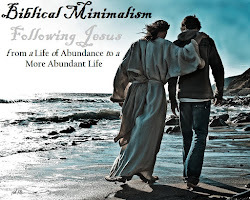 This book is so near and dear to my heart, because coming more in alignment with the minimal life Jesus lived while walking this earth is one of my greatest passions. Writing it was quite a task. There were moments I thought I would never finish. Many things were going on in our lives that were difficult and hard to press through. Through Christ alone, the book is now written and copywritten, and I am beyond grateful for God's enabling power and sustaining grace. Not as much for personal gain, but, most importantly, that a desperately vital message can reach as many lives as possible. 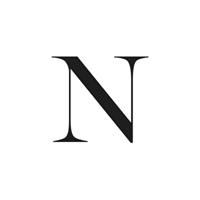 My research, thus far, shows that to get a mainstream Christian publishing company to even read a manuscript from a very ordinary, non-famous person is near-impossible. The industry has evolved into a not-so-accessible place to navigate, and many writers far greater than I are still waiting for someone to catch their vision and publish their dream. As I have time, I am looking into editing, self-publishing, and partner-publishing options and will move forward, as God leads. So much has changed in our lives even since I finished writing the book, and God is already laying a foundation for a sequel "Biblical Minimalism" book #2, as our journey continues. I am also feeling led to write an accompanying Bible Study guide to ask probing questions and allow the reader to personalize the Scriptural applications to their own, unique situations, circumstances, and getting-out-of-debt journeys. 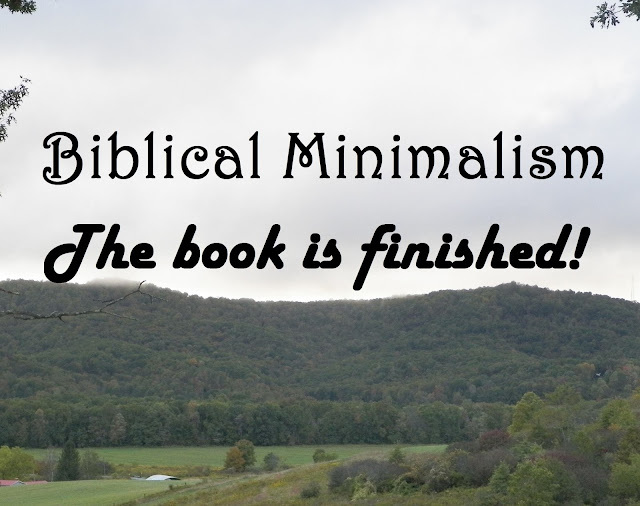 Would you be interested in reading, "Biblical Minimalism"© if it were to be published? Do you find this subject matter interesting and relevant? and, Lord willing, I will keep you posted of any developments, should there be any. May His perfect will be done, regardless. Thank you ever so much for following along with us on our incredible adventure. We love and appreciate you from the bottom of our hearts. Dear Cheryl, Oh yes! You know I am eager and waiting to read the book the Lord has given you! Congratulations on finishing it! What a testimony to His strength and power in your lives, to be able to walk through so many surrenders. His ways are certainly not like ours, are they? Oh, but they are so much higher. I am praying for you dear friend, and asking the Lord to continue to guide you, and to give you wisdom and clarity along His path. Blessings, love, and hugs to you! Oh, Bettie! SO many surrenders! I love the way you worded that. That is truly what this journey is and continues to be...a series of surrenders, as over and over again, we turn loose of what God says is excess and too much. And, oh, the glory in that surrender! No, His ways are surely not like ours...and when our will conflicts with His, self must give way to Him and His higher and perfect ways. Your prayers are a blessing and gift to me, sweet friend, and I am ever so grateful for your support and friendship on this journey! God bless you! Dear Su Ann! God bless you over and over for your unfailing support, friendship, and prayers! So many times you have lifted me and given me courage to keep going. I am so thankful it is completed, too...it is a relief. The Lord has been giving me some starting thoughts concerning the accompanying Bible Study, and I am getting quite anxious to get into that, when I have time. Yes, my friend, God surely is good. May He bless you abundantly...praying for you often and trusting Him to be near you. Glory to God! I encourage you to pursue your dream, girl. I want to read your book too and I really like your title. I am praying, Cheryl, for it to be published. It will help so many! I know you are passionate about this subject and all that the Lord has taught you and the family and that excites me! Warm hugs! Yes, my friend, I am so passionate about it! I can hardly wait for the book to get out there...however God sees fit to make that happen. The message just burns within my spirit, and I know God is doing something with all of this. Just not sure what, yet! Thank you SO much for your precious friendship and support and encouragement. I am so grateful for you and your dear presence in my life, and I am praying for you and Tom. I trust your knees are healing well. God bless you over and over!! Cheryl, what a delight to read this good news. Congratulations on completing your book. Continue to follow as Christ leads. Thank you so much, sweet friend! I am ever grateful for you and your encouragement. It is surely my desire to keep following Him, and your support along the way truly means so much. God bless you abundantly! I would be very happy to read your book when published, Cheryl. What a wonderful testimony to God's work in your lives. I am just thrilled that you want to read the book, Elizabeth! I trust it will be a reality someday!! Thank you for every kind word of encouragement. You are a blessing to me, and I trust all is well with you and your husband. :) Sending hugs across the many miles! Yes, yes and YES! We having been on our own journey of ridding ourselves of material things so I would be ho ores to read the thoughts that God has given you dipuring your journey. I hope and pray you will soon find a way for us all to read it and learn about God’s will in this part of our lives. Dear, sweet Betsy! Thank you so very much for your encouragement and loving support of me, my family, our burdens, and my dream. I pray you can soon read the book, too. I am so thankful God is leading you to rid yourselves of the excess and trust He will bless you on your journey. Sending love and hugs to you and many prayers going up for you! Yes mam! I'm most interested in reading your book! CONGRATULATIONS, and praying for it to be published soon! Congratulations on the completion of your book, Cheryl. Blessings to you as you move forth in the publishing realm. I would love to read it when it's available! Thank you ever so much, Debby! I am so grateful to you, and I hope it will soon be available for you to read!! God bless you!!! Oh dear Cheryl! What an exciting thing that I know the Lord is doing for you, and this book that the Lord has given you! I can't wait to see the doors that the Lord opens for you to have this incredible book published! And I personally can't wait to read it either! We have been on a minimalizing journey as well, having downsized to a 780 sq. foot home over two years ago. It has been the best thing we ever have done! Such a freeing thing to live simply, and only with things that you really need. Plus, much less time is spent housecleaning, freeing up more time for being outside, which is only a plus for us! I will continue to be in prayer for this journey that the Lord has you on, and that He opens just the right doors for you! With love and many hugs! Dear Marilyn! I love hearing your story about how God led you to minimize, too, and I know you have so enjoyed the journey. It is a wonderful thing and so liberating. SO sweet to follow Jesus into that place where He means more than all of the things in this world put together!! Your continued prayers and support and encouragement are precious gifts to me, and I cannot thank you enough. May the dear Lord bless you always, dear friend. Cheryl, Praising our Lord for these answers to prayer!! So very thankful and excited for you. I have known several gals who have written books and then got them published-I will join the other ladies in praying that the Lord brings the right publisher to you. I'm going to tell my daughter about your book as well-sound like one she and her hubby would love to read. THANK YOU, THANK YOU, THANK, my dear prayer partner and faithful friend! I only want His will in all of this, and I want HIM to be glorified, above all else. Your prayers are just SO precious to me...and thank you for sharing with your daughter about the book. I hope it will one day be available for her and you to read, if it is God's will. Sending love and hugs to you tonight! Wonderful news and yes, I'd love to read your book!!!!! Thank you ever so much, Gramma! May God make a way for you to read it, and may He bless you abundantly! I will surely let you know, BJ! It will be a happy, happy day when I can announce that it is published and ready to share! Thank you ever so much, and may God bless you! I pray for you every day and trust you are doing well and feeling the comfort of Jesus continually. Sending hugs to you. I surely will! You know you can count on my support and help in any way I can. I think you should definitely write that book. It would be a wonderful read and so interesting, especially to those who live the city life. :) God bless you, sweet friend. I think it's a very relevant subject for a lot of people right now. I would be interested. Dear, sweet Valerie! You have been such a dear, loving support throughout this process, and your kind encouragement and friendship and willingness to listen means SO much to me. Knowing you are cheering me on encourages me so much. I am so thankful for your presence in my life, and your continued prayers are so appreciated! Sending lots of love and gratitude back to you, dear friend, and praying for you often! God bless you again and again! What about publishing through a book publishing site that will allow you sell both paper copies and ebooks on Amazon? I looked into Lulu.com some years back, but since I have not completed my book project (a collection of the poems of Annie Johnson Flint), I have not moved forward with that. There were various options for self-publishing that way. I expect there are other self-publishing sites that offer similar services now. I bought a few ebooks from a Christian lady who has been publishing her Christian fiction through Amazon. OH, thank you SO much!!!! I am looking into several options and prayerfully considering each one. Thank you for the suggestions...I am so grateful for any and all input and feedback. I have heard of Lulu, I think, but that is one that I haven't yet looked into. Do you know if the lady you are speaking of uses Create Space? That is the option I am most strongly considering right now. I am talking to other writers and getting opinions and trying to sort it all out, and most of all, I am seeking the dear Lord for direction. I cannot wait for you to be able to read it, and I trust God will bless you for your support, sweet sister! It surely is amazing how He works. Going through the process, I would never have dreamed He would lead me to write a book about it all. Whew. It has been rough. I am so thankful for your precious prayers, my friend, and I am so comforted by your words "whatever God uses for His glory is not in vain." I SO appreciate your support and friendship and trust the dear Lord will bless you richly! How very wonderful to hear this journey, Cheryl! One of my blogging friends at http://thebeautifulmatters.com/ wrote a book, and maybe you could go to her blog and see what/how she did to get it published. I'll continue to pray for you to follow the path that God leads you. Blessings to you! Oh, thank you for your suggestion, Kitty! I so appreciate you and your kindness and enduring support. You are a blessing to me, and I thank God for your prayers. I am faithfully praying for you, too, my friend. God bless you! Congrats on finishing your book! Good luck with the publishing world. Start by trying to find a literary agent and to do that you'll need to write a book proposal and query letter. There are lots of good tools on the web to help you with that. Hope you are picked up and published!! Thank you so much, Karen! I am so grateful for your suggestions and kind words! I hope it is published, too. God's will be done, and may He bless you, too! Good for you, Cheryl! It's a gratifying endeavor. I know a bit about the process. If you'd like to chat, I'd be more than willing. Thank you so much, Floyd. I am so thankful for your support and encouragement and so grateful for your willingness to share what you know about this process. I will be emailing you soon! God bless you, brother. Hi Cheryl, I completely understand how you feel about privacy. It's something I struggle with sometimes too. But God is quick to give comfort in those times. He is so good! I'm praying that God will bless you and your book. Many blessing to you in your publishing journey! Oh, my, I am so thankful to know I am not the only one! The enemy really fights in this area, and it has been a revelation to me to know how much pride I have in guarding it so carefully. When God points my eyes toward the cross, and I realize how much Jesus laid down for all of us...SO much humiliation and loss He suffered...how can I say no to what He is asking me to do? I am so thankful for your sweet visit, support, prayers, and kind words! Many blessings to you, too! Yes yes yes!!!! I will buy a copy and will most definitely read it cover to cover. This is something my husband and I have been toying with and its something becoming more and more relevant in this big (and sometimes nasty) world of ours. Count me in!!! PS2: I will most definitely post a post on your book and spread the word when the book comes out!!!! Oh sweet friend! How exciting!! I’m sure your book was written in all humility and Glory to God. How wonderful that you would share what the Lord has been teaching you with anyone who would read. I trust the Lord will provide just the right avenue for your book to be published. May He bless the work of your hands abundantly! Sending you much love.